PERU. Talk about epic. Such a breathtaking country, with amazing people, culture, architecture and views unlike any other. 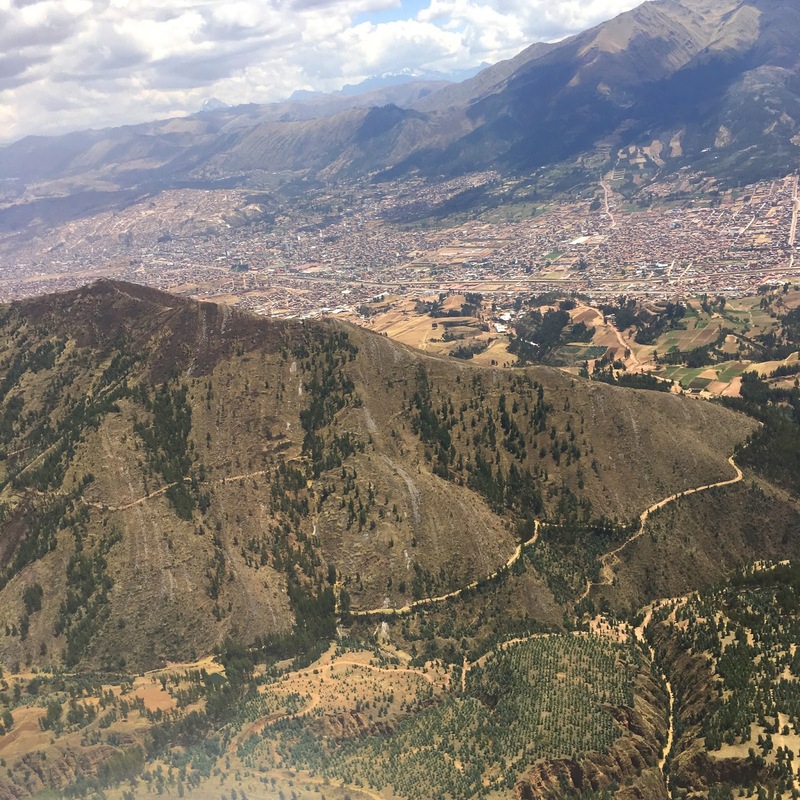 Above: Landing in Cusco, once the capital of the Inca Empire, now known for the archaeological remains and Spanish colonial architecture. 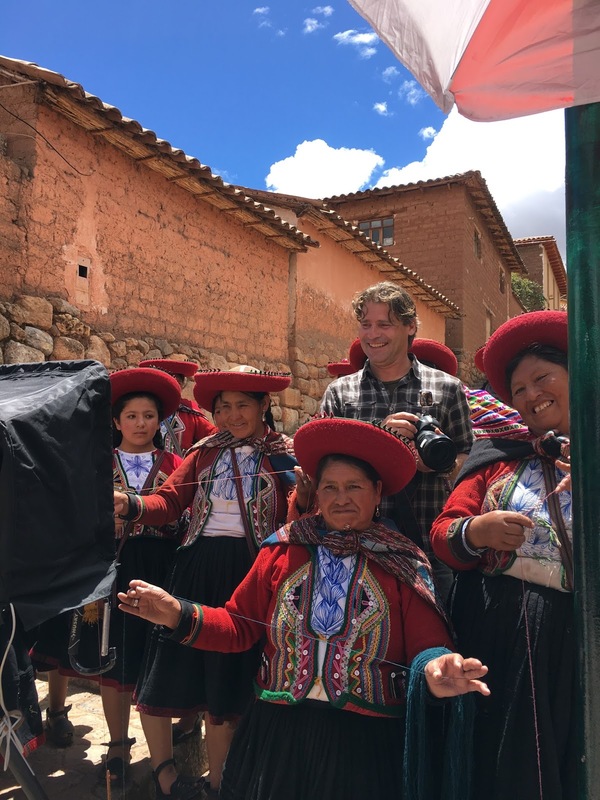 We stayed here, and shot much of this effort in Chincero, a small town about a 45-minute drive through the beautiful countryside of the Sacred Valley. It is over 12,300 feet above sea level. No joke, working at these altitudes is difficult. 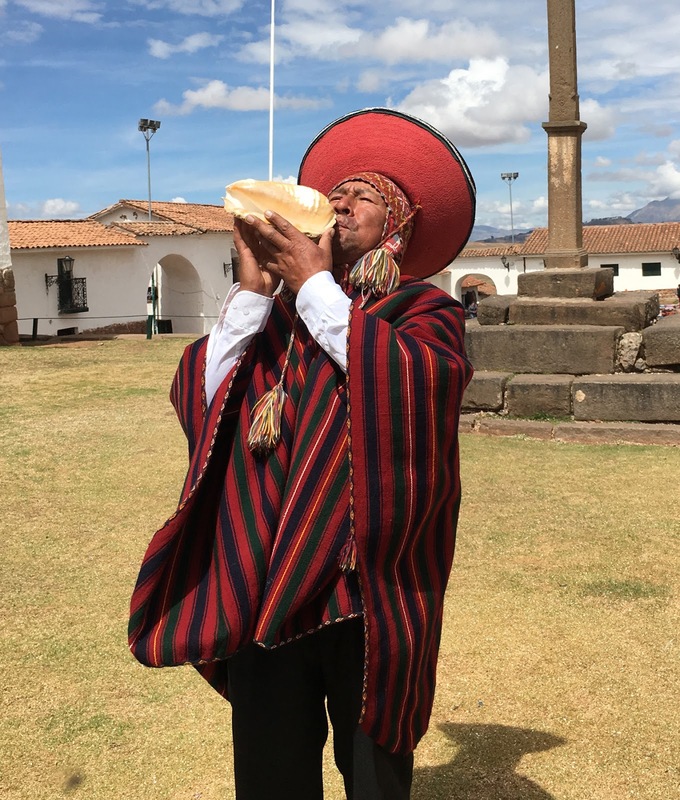 Several crew members had altitude sickness, one went to the Cusco Medical Clinic for a night to recuperate. We also shot in the countryside, where the altitude was substantially lower (9,000 feet). What a difference. 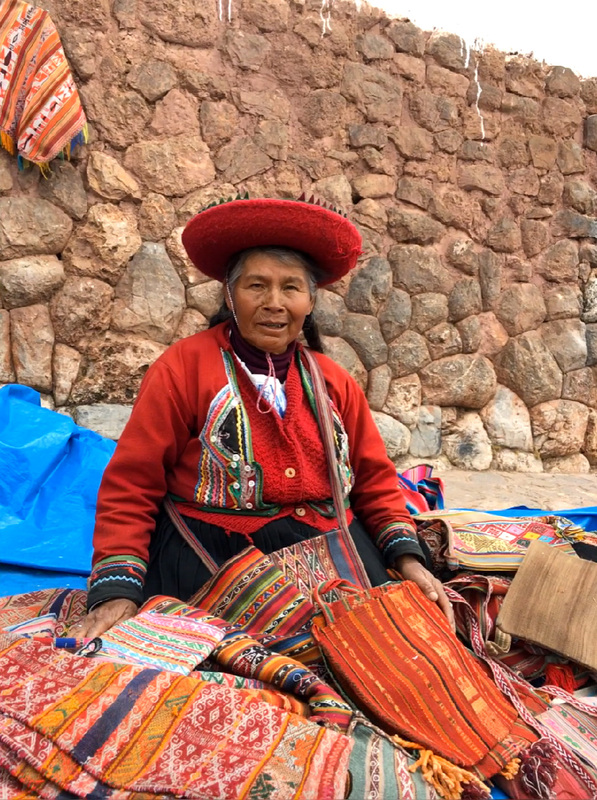 Above: The Women of Chincero dressed in traditional clothing (handmade hand dyed, hand embroidered). They enjoyed learning about our processes and vice versa. 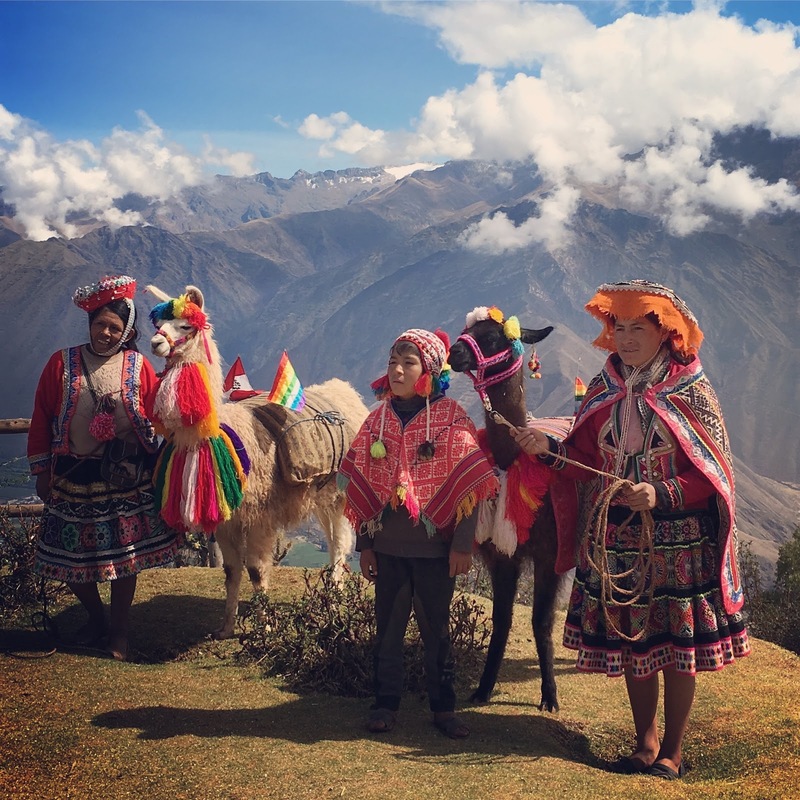 We loved to hear their stories, and watch them dye and weave their alpaca yarn. Notice that they are spinning their yarn while watching the shots come in on the photo monitor? Talk about multi-tasking. Top and bottom: Known to us as “The Mayor,” the gentleman on the left jumped in to help assist, and also brought a variety of musical instruments to entertain (he is also featured in several catalog shots). My favorite vendor (top). She sold her wares daily in the Chincero historic square (bottom). She had beautiful vintage fabrics, bags, pouches, and blankets, plus other trinkets. 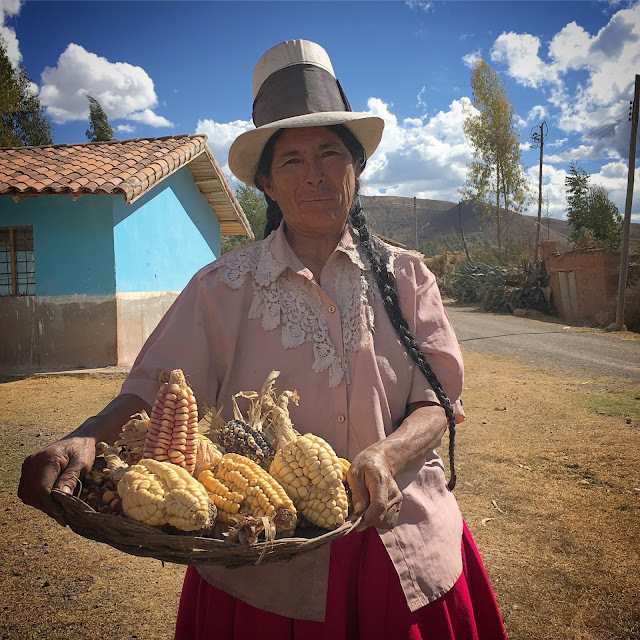 I purchased so many things from her, plus brought the rest of the crew to her “shop,” that in appreciation she gave me a small gift that I will always treasure. This woman, who lives in the rural village of Amantoy (near Maras), spoke the native Quechua language, no English. Yet we had very little trouble communicating with her. She was so chic, our fashion stylist loved her pink shirt with the lace details. She showed us the 3 or 4 skirts she was wearing, layered atop one another. Each was hand embroidered, and simply gorgeous. She was with us for the entire day, and can be seen in the actual catalog. Katarina. 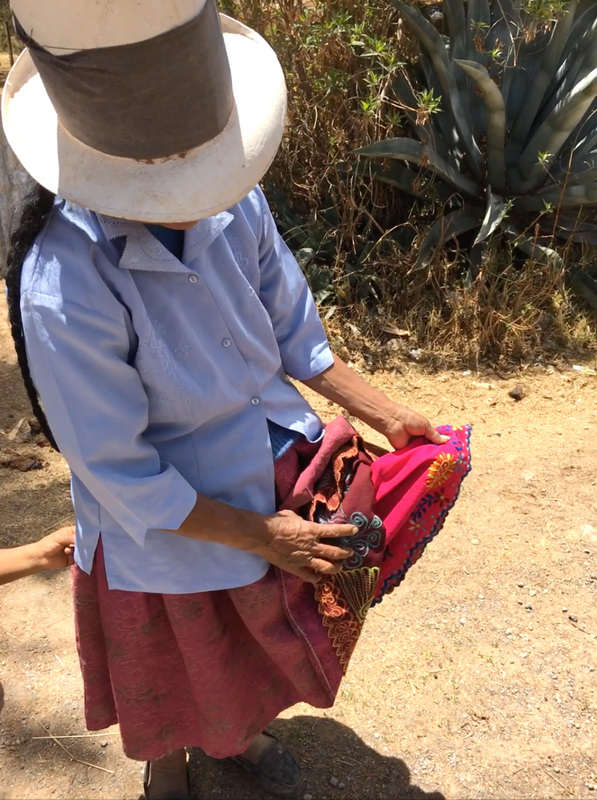 She speaks English, and was with us whenever we shot in Chincero. She became a sort of “assistant producer” for us, and was a pleasure to have on set, or in front of the camera. 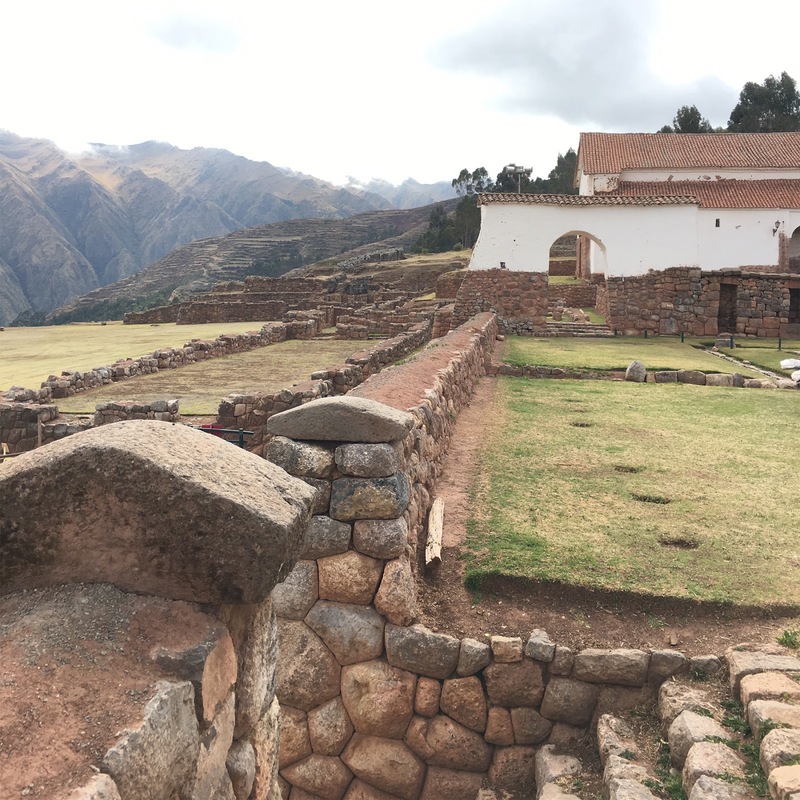 We made a special trip to an overlook in the Sacred Valley, somewhere between Chincero and Maras. Since the view attracted a large amount of traffic, there was a small shopping outpost. The families who owned this attraction dressed in colorful Peruvian clothing, and allowed tourists to take photographs of them, their alpacas and llamas (also decorated for the occasion). We invited them to take part in our shoot, as well as shopped from their tables of beautiful crafts. As to not leave anyone out, we all had a blast doing a large scale group shot, which turned out to be a cover. As is the norm for whenever we ask people to participate in our photography efforts, they are paid for their time and efforts. We also give donations for the use of their land. Overall, an amazing country, amazing people, amazing experience.